Queens Comfort is basically what you’d get if Pee Wee Herman opened a restaurant. And I mean that in a good way. He’ll always be the guy who made the world’s greatest breakfast machine to me. 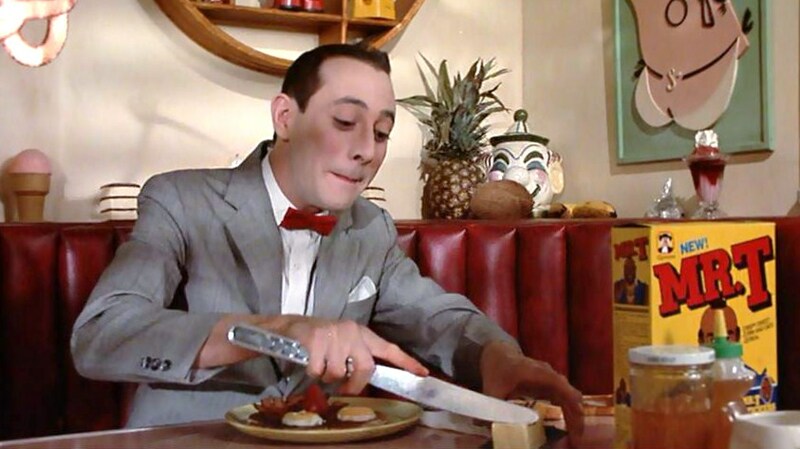 The reality is that regardless of how you feel about Pee Wee and/or his big adventure, there’s one thing that is universally true - eating like a kid is awesome. And that’s what Queen’s Comfort is tapping into. This Astoria restaurant is hugely popular, thanks to a fail proof formula that’s one part nostalgia and two parts putting cereal on top of food. There are about 40 items on the menu here, and at least five of them include some sort of cornflake or Capt’N Crunch application. 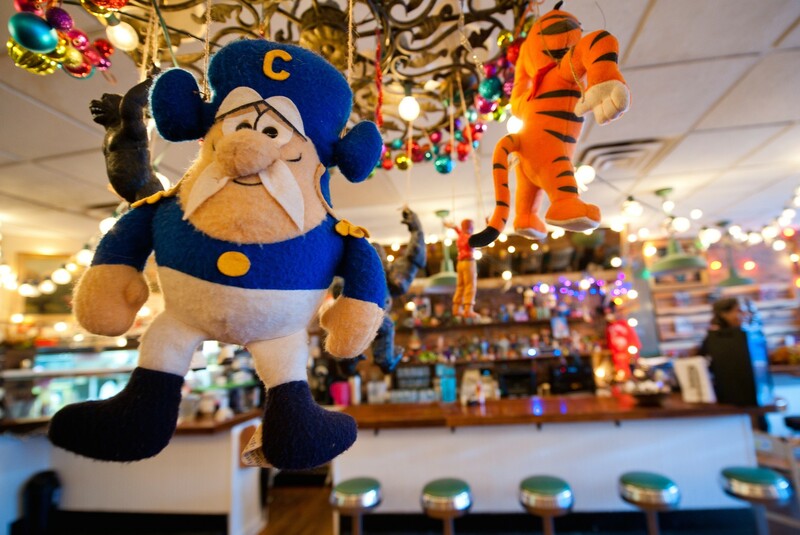 It’s a lot of fun, assuming that you find campy decor and greasy food appealing. When it comes to the food, we find that Queens Comfort is all about things that taste good but will definitely give you a stomach ache later. There’s really just no way to eat basket full of deep fried, sriracha-filled mac and cheese balls without paying some sort of price for it. That’s the case with the entire menu - almost everything is one step too far in the direction of ridiculous, and that’s what makes it entertaining. It’s just not something you can or should do very often. Then again, it seems that a lot of people eat at Queens Comfort quite often, especially for brunch. Expect crowds, and expect to need an ATM as credit cards are not accepted. You’ll also need to bring some booze - QC is BYOB. Maybe bring your own comically large fork and knife too. One of the most popular items on the Queens Comfort menu, these sriracha-filled mac and cheese balls are celebrated by thought leaders in our community like Guy Fieri, and Yelp. We found them to be delicious but a little bit too aggressive. One is about all we could handle. Simple and absolutely excellent. Among the several cheeses present in this dish is a “Vintage Gouda” which we can only hope and pray will soon be the name of a celebrity baby. Our favorite thing on the menu, and an excellent selection if you’re in the mood for breakfast even though it hasn’t been morning for several hours. Egg, bacon, and a béchamel sauce sit atop an English muffin, making for a very rich open-faced breakfast sandwich. The tots on the side are also tasty. This po’ boy has Capt’N Crunch fried chicken inside of it, along with some pickles and a spicy remoulade. It’s...a lot. Peanut butter and jelly on a burger. An interesting concept, especially if you are either Elvis or a seven year old. Otherwise it’s not the greatest combination. We kind of felt the same way about this fried pork tenderloin sandwich as we do about the po’ boy. A few bites are awesome, I just don’t know how one person eats this. Maybe split it with a friend or a friend’s family. For all juice and smoothie needs in Astoria, head to Vitality & Health. It's essentially the neighborhood version of Whole Foods, but much cheaper. Astoria Seafood is a seafood market and restaurant where you pick your fish and tell them how you'd like it cooked.